The Motion Compound Engineering cable cam system is custom designed and custom built in Germany. Our motors combine high performance and low weight while the entire rig runs silently and free of vibrations even under heavy load. Smooth starts and very slow slides with 0,5 kph up to powerfull rides at a speed of 48 kph. The MCE cable cam with automatic endpoint control gives filmmakers total control over the motion and the shoot in any situation, both for single and dual operators. Our direct drive brushed motors provide ultra-high torque over the full speed range. 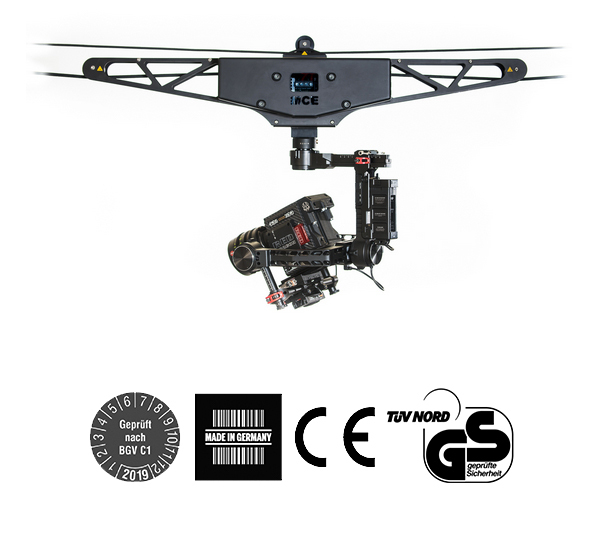 The Motion Compound cable cam is stock available for DJI Ronin, Ronin M/MX & Freefly Mövi camera stabilizer. On demand we can offer it compatible with all commercially used camera stabilizer systems. A maximum payload of 15kg gives the user enough capacity to work with cameras from DSLR`s up to the professional filmmaker gear like the RED Epic, ARRI Alexa mini or all what you want. The MCE QR-Mount is our variable quick release system, compatible with all DJI Ronin, all Freefly Mövi and many other professionaly deployed camera stabilizers. 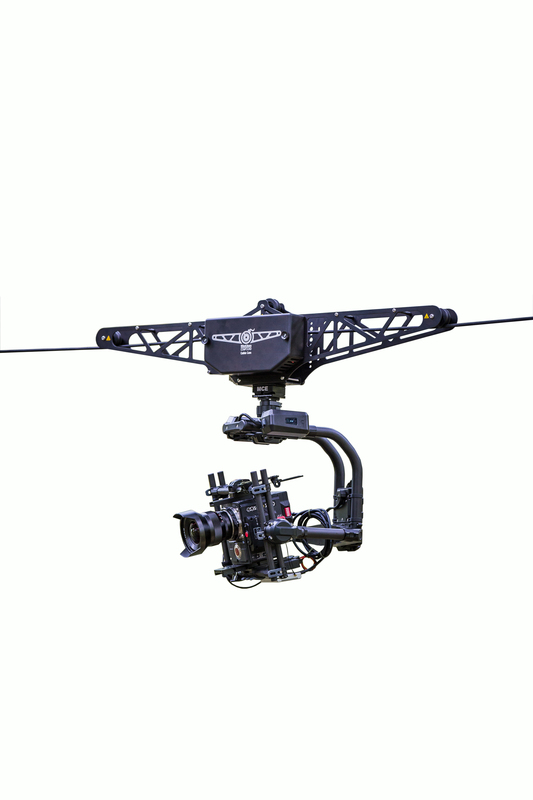 It allows camera operators to switch from cable cam to hand held gimbals within seconds. You want to rent a cable cam system. Feel free to contact us and benefit from many years of experience and reliability of the operator team. Need help, or a custom design? You have specific requirements or conceivabilities?